Nowadays, every online customer is aware that they can share their reviews on products/services be it positive or negative on different social media platforms. By simple one tweet, status update or blog post they can reach to thousands of people in an extremely short amount of time. So the result can be either positive or negative for the company. One negative post from any dissatisfied customer can even ruin your brand image. Hence it is a must that you provide best customer service in ecommerce business. That being said, customer service should be at the center of your ecommerce business strategy — and maximizing it, is even more important. “A satisfied customer is the best business strategy of all.” These wise words, said by famous business author Michael LeBoeuf, sum up the importance of customer service for the success of any venture. According to the Microsoft State of Global Customer Service report for 2016, “97% of customers say customer service is very important to them. Interestingly, by 2020, customer experience has been predicted to take over price and product as the key brand differentiator. By providing excellent customer service your customers will get satisfaction and will develop trust towards your company and this will help to retain old customers and attract new customers. Let's have a look at 11 best practices that you should consider when providing incredible customer service to your customers. Multichannel strategy blends different promotional and distribution channel, positioning you to reach, connect and build rapport with your customers. 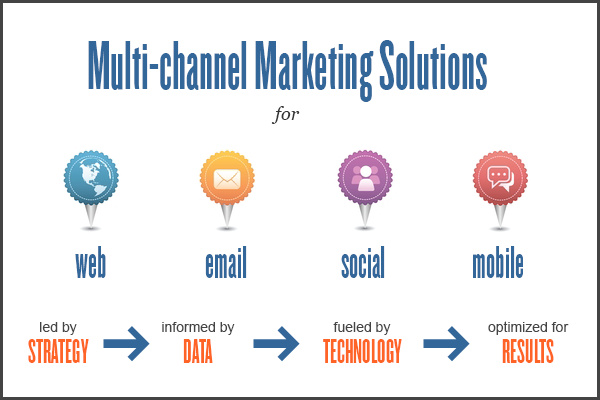 An effective multichannel strategy is often optimized for results — that’s the end goal. It’s no secret that ecommerce competition is killing most businesses today. Sadly, it gets confusing when brands are unable to determine the channel to use for customer service. When this happens, the brand suffers while the customers rule. This isn’t ideal; it’s supposed to be a win/win situation. Truth be told, if you want to deliver top notch customer service, you don’t have to rely on one channel. Gone are the days when you limit customers to a single communication channel for customer service. A study by Aberdeen Group found that companies with the strongest multichannel customer engagement strategies retain an average of 89% of their customers. Developing a multichannel strategy means you’ll be where your customers are. Are your customers on Facebook, WhatsApp, live chat, do they prefer to be serviced by email or phone calls? Make it happen for them. The goal is to take customers service to your customers — and not make them come or ask for it. Make them happy. Remove the pains of having to wait for several days before replying to their queries. When you establish these e-commerce customer service channels, ensure you let your customers know that you can help them through the channels they are already in. Most importantly, it shouldn’t end with providing your customers with several customer service options. You should ensure you deliver quality customer service across all the channels you provide; otherwise, it’ll be a complete waste of time and resources. 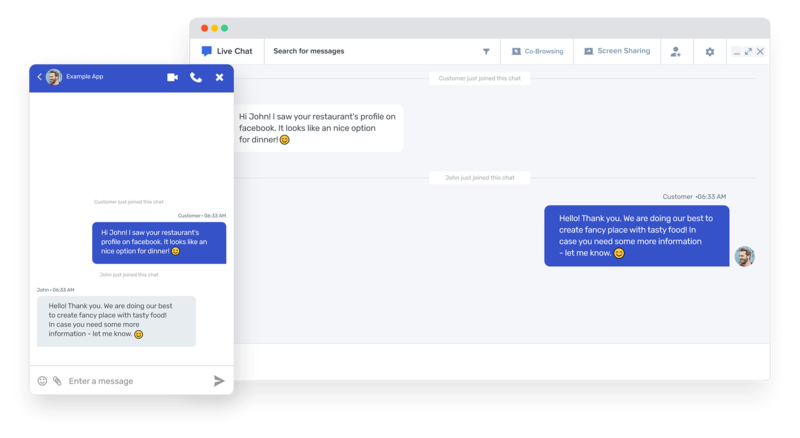 Live chat applications on websites provide fast means to communicate with customer’s service representatives and get customer challenges resolved. 50% of customers think it’s important to solve product or service issues themselves and 70% expect a company’s website to include a self-service application. There are too many reasons and benefits to offer a live chat service on your ecommerce website. It’s hard to drive traffic to your e-commerce site and making your customers stay is even more important. 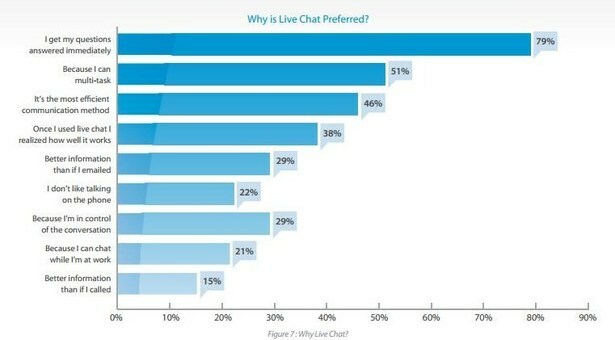 According to Econsultancy, live chat is preferred for customer service. Customers may decide to leave your website if they have challenges trying to purchase on your ecommerce site — especially if they remember that you took a long time to reply to their emails. But with live chat, they can quickly contact you and get their issue resolved instantly or as quick as possible. Also, if you're running an ecommerce business, then it can be a great point of contact for product warranty, return policy and payment process. It’s important that you add live chat as part of your customer service strategy. If you’re already providing live chat on your e-commerce site, always check your chat history periodically to know how effective your conversations with customers have been. Excellent customer service practices can create a positive relationship with consumers. In order to offer exceptional customer service, your coma must need to adopt more advanced approach towards customer support. By adopting proactive customer service approach you will be able to deal with customers issues before it becomes a problem. As per the report of eConsultancy, more than 50 percent of customers prefer to find solutions to their problems by themselves. In order to stay ahead of the competition, more than 50 percent of customers prefer to find solutions to their problems by themselves. In order to stay ahead of competition ecommerce should offer fast and informative support to their customers this will improve customer experience. Product description mentioned on ecommerce website should be accurate. 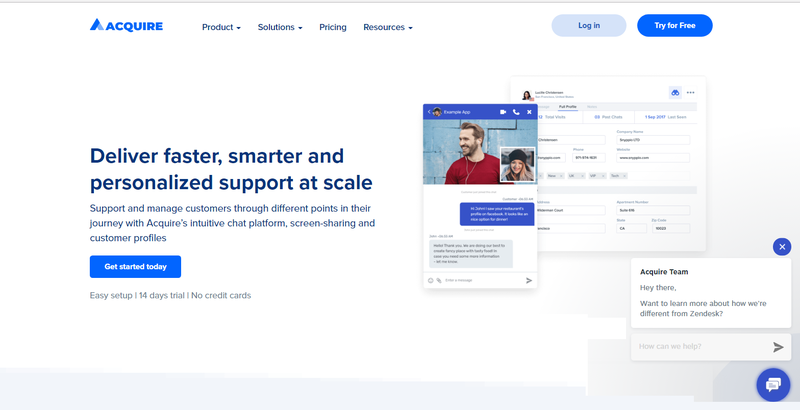 Ecommerce companies that offer their customers quick and informative support are seen as actual business partners, rather than abstract organizations. An ecommerce website should have FAQs section which should include all the answers of commonly asked questions so that customers can get solutions instantly and do not need to contact customer support for help. Moreover, a site should display contact information so that customers can easily reach to you if they can’t handle the issue themselves. Hence proactive customer service approach will help to improve customer service. Non-personalized emails can be easily ignored as the customer may assume you’re not referring to him/her — maybe it’s an error. 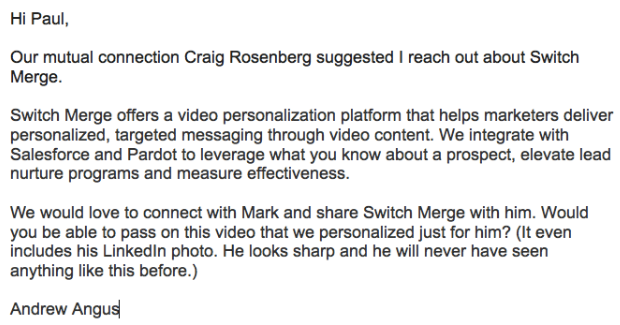 But a personalized message that mentions your customer's name will most likely boost your email open rate. And customers will feel happy and safe. All things being equal, you’ll agree with me that this email will perform better than the previous one, right? You can do more by mentioning their names inside the body of the message, and even on the subject line. It’s high time you move from a manual order fulfillment system to an automated order fulfillment system. Why? Because it will save you time, improve your productivity and bring optimal satisfaction to customers. Ensure you have the best automation strategy to help you fulfill all customers order efficiently and timely too. Manual order fulfillment systems are slow and inefficient, you’ll experience lots of errors, of course, and we’re humans. Using an automated system that will handle the whole process from the beginning of the order to delivery is better and will most likely make your customers happy with your brand. Enough of the sales emails, blog post, and other marketing content. Starts telling your brand story in a way that will resonate with your customers and make them want to always buy from your brand willingly. Customers hate being sold to. But educating and engaging them with the information they are looking for, will cause them to be consistent with your brand, keep your brand fresh in their memory, and they’ll become brand advocates. That’s what you want. Content marketing allows you to educate your customers and make them buy continually, without pushing them around. The best example of a brand that got so famous via storytelling is Jewelry brand Dannijo. It was founded by sisters Danielle and Jodie Snyder in 2008. They believed that trustworthy storytelling is the key to create a successful brand. The brand sells products like jewelry, shoes, and handbags. The sisters use Instagram to display snaps of their own lives, along with lifestyle pictures of their products and photos of celebrities or beautiful non-celebrities wearing them. Your customers are mobile, are you? Providing a secured mobile payment system for your customers will make sense. Don’t you think so? I understand that some eCommerce websites do not provide payment options for mobile users. However, this is very essential. Don’t neglect mobile customers. Make provisions for them now. No customer wants to see that blank screen when they get to the checkout page. It does be annoying. It’s important to ensure that your payment processor accepts payments on mobile devices. I know that PayPal and Stripe do. But ask questions before choosing a payment processor. Most customers prefer to talk to a customer representative over the phone. Develop a 24-hour phone support to engage them. There are several integrated customer service voice products that’ll help you take voicemails when you are not online. However, you can also use a 24-hour live answering service to allow your customers to communicate with a real person. Nothing comes close to a human touch or personality during conversations. Invest in a 24-hour phone support, and watch your ecommerce customer service inspire customers and drive more sales. If more than one customer representative attends to customers, it can be frustrating. Worse, customers will not get their questions answered. You don’t have to let your customers explain their issues all over again. They deserve better! Using a CRM (customer relationship management) software can help you streamline the process — the most popular way of tackling that type of problem is through ticketing: it’s all part of our CRM software. A good CRM software will make life easy for you by automating a lot of processes and also help you make informed decisions to increase your ROI. It’s important to measure your customer satisfaction success because it’s the only realistic method of improving your overall customer service and marketing strategy. If you’re using customer relationship management software you most likely have this feature included, you can ask customers to complete surveys after each customer support session about how they feel about the customer service they’ve received or send a follow-up email asking them to share their experience or to write a short review that you can put on your website or social media. It’s simple, but the feedback can act as a benchmark for effective measurement. Customers’ feedback whether negative or positive gives invaluable information to the company to see what’s working and what’s not. Most customers want to see the numbers — their invoices, their purchase history, every transaction and the inquiries they’ve made. They need to see their billing history. Everything. Will you deny them? They should be able to see them on their dashboards. Just make everything available and easy to access. Customers will be happy if you can make all of this available, and if for any reason they can access this data, let them know of it. If you want to grow your Ecommerce business it is important that you gain customer’s trust by providing them an unparalleled experience. Here in this blog, I have mentioned some of the rules or ways to maximize your Ecommerce business. With proper planning and strategies and implementing new ideas will help your ecommerce business to move forward towards success.